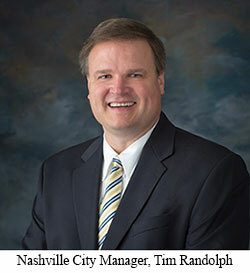 NASHVILLE, TN (May 14, 2015): The nation’s largest private home builder has announced Tim Randolph as City Manager for its Nashville market. Tim Randolph brings 22 years of home building and construction experience to his new role. Randolph first joined David Weekley Homes in 1999 as a Division Sales Manager and was later promoted to Project Manager in Atlanta. After a brief hiatus from the company, he returned to David Weekley in 2013. Since then, he has served in several capacities, including Sales Coach and Project Manager, prior to his new role as City Manager in 2015. Randolph earned a Bachelor of Science in management from The Georgia Institute of Technology, and has been involved with numerous organizations, including Habitat for Humanity, Fuller Center for Housing and United Way. David Weekley Homes returned to the Nashville market in 2015 and is under contract to build in the master-planned community of Durham Farms, a mixed-use, Traditional Neighborhood Development of more than 1,000 single-family homes and townhomes. Opening for sales in June 2015 are Central Living by David Weekley Homes at Glen Echo and Woodmont, just 10 minutes south of downtown. In addition, homebuyers will have an array of estate-sized, single-family homes to choose from in the Brentwood community of Tuscany Hills, also opening for sales in summer 2015.